The colours in this range have been carefully considered with this years colour trends. One of the ideas I had in mind was a Minion costume for each of the boys. With the release of the film this year they are Minion crazy. This would be no problem with Sunflower Yellow and Ocean Blue. They are also big batman fans and I had also considered the Joker. No problem with Intense Violet and Tropical Green. Of course a traditional pumpkin is achievable with Goldfish Orange and for any aspiring Halloween witches and wizards, the Velvet Black, Intense Violet along with some fabric glitter and marker pens greatly inspire the imagination...maybe Mummy B might have to get in on this action. Quite fancy myself a sorceress. This year our Halloween plans have been slightly changed and I am not going to be able to make anything for the Little Bs; but fear not. Fancy dress is for life, not just for Halloween and I shall be back with some fabulous costumes no doubt. By the way, when I think about dyeing fabrics I have images of having to soak items in a sink with some dye. Did you know that Dylon sell machine dyes? Amazing! I can't wait to try these out. I am sure this is going to be one of those discoveries where I will decide to dye everything in my house because it is so easy. Have you ever tried out Dylon dyes? What is your favourite from their current range. *This was not a sponsored post. 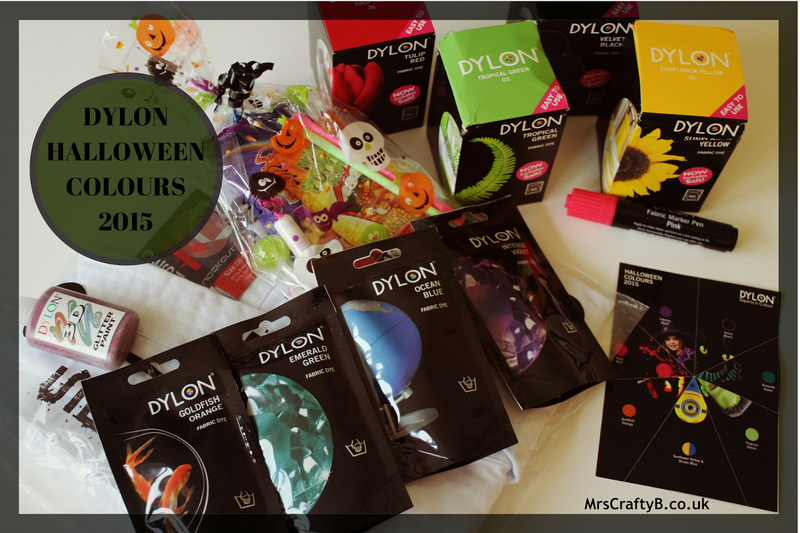 Dylon kindly sent some of the Halloween 2015 colour palette for me to try out but all opinions or my own. Oh my! My rubbish towels!!! You my dear are a genius!